Chances are you are involved on several social media sites. You might be on Facebook, Linkedin, Twitter and many more. More than ever before, you need a digital business card to aggregate all this information in one place. Allow me to introduce you to Card.ly. Card.ly is incredibly simple to use. It connects to just about every social network and most blogging platforms. After you create your account, you can connect to your social media sites by entering your usernames. You can also include a brief bio and your contact information. Card.ly offers numerous themes so you can change your card's appearance. There’s a good selection of free skins, or for $24.99 per year you can get a larger selection, as well as access to Google Analytics and the power to use your own domain name. 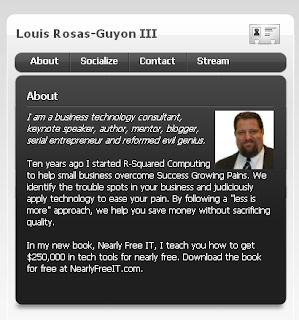 Feel free to check out my free digital business card at http://card.ly/lourg to see an example. If you create your own digital business card, post the link in the comments below.